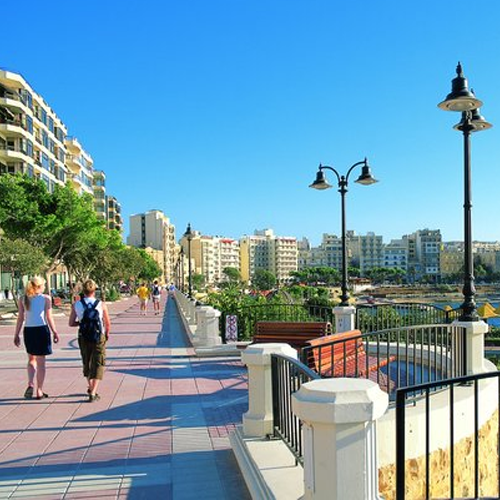 Where are the Best Areas to Live in Malta? Working requirements aside, one must also consider whether s/he considers being close to the beach a priority, or whether s/he would prefer to be located in the city centre. 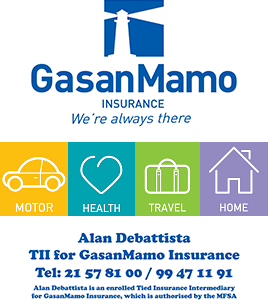 For people who wish to be near the sea, I would personally recommend finding a home either in the South, that is within such towns as Marsascala or Marsaxlokk, or else in the far North, that is in such towns as Mellieha, Qawra or Bugibba. While accommodation can be cheaper in the South, one must also keep in mind that living in for example Mellieha has its advantages if one is interested in frequent trips to Malta’s sister island, Gozo, since this town is closer to the ferry than, say, Marsaxlokk. Again, the atmosphere of the North and South is quite different, in that the North offers opportunities to enjoy not only a multitude of beaches, but also a number of unspoilt countryside walks, however on the downside, since tourists tend to gravitate towards places such as Bugibba or Qawra, which offer a number of cheap hotels and services, relocating to the South would bring one closer to the original Maltese traditional way of life. Those who prefer life in the city, such as students, business men or plain city gals and guys, tend to look for accommodation in places such as Sliema, Saint Julians or Valletta. Take it from me, this is a no-no. First of all, because flats and homes in general in these two cities are quite expensive, despite being mostly on the small-ish size, and secondly because, due to the onset of so many tourists and expats, daily amenities and convenience stores tend to be much more expensive than those one finds in other parts of the island. My suggestion would be to find more reasonably priced accommodation in towns such as Msida, Mosta, or Naxxar, which though not at the exact hub of Maltese high-life, are definitely more affoardable. They are also quite close to the centre. Should one wish to combine the bustle and hustle of a lively city, togather with historical heritage and Maltese tradition, I would suggest going to live in the Harbour area, most particularly in one of the ‘three cities’, that is, Bormla (Cospicua), Birgu (Vittoriosa) or Isla (Senglea). Apart from offering unparalleled seaviews, the Harbour area is also the showcase for some magnificent architecture. It is also a centre of industry, and is quite close to the capital city of Valletta. PreviousWhich Christmas Panto to Watch this Year? I am so glad you never mentioned our perfect village in the South. Very few expats, minimal amount of tourists … quite beautiful and unspoilt. Thanks for keeping our secret! I think it is tricky with Msida as a living location (mentioned many times on expats’ groups) due to the high number of immigrants from African countries. Yes, it is cheaper, but there is a reason behind.